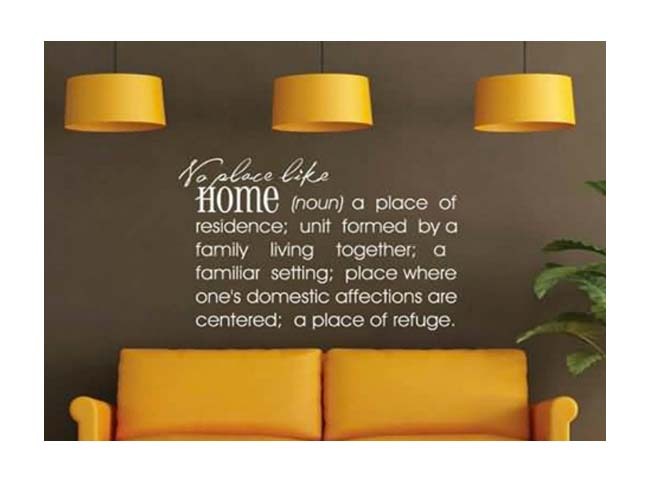 Sprinkle a little daily inspiration around your house by crafting your own quotes or phrases that are super easily applied to your walls. Or, you can also choose from a huge selection of premade quotes and graphics that are readily available to order from WallWords. 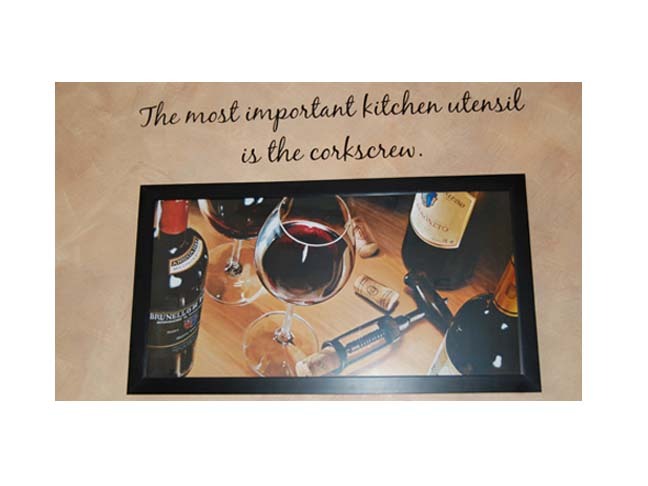 This tongue in cheek reference to wine, would look great in your kitchen or in any dining area where you gather friends and family. 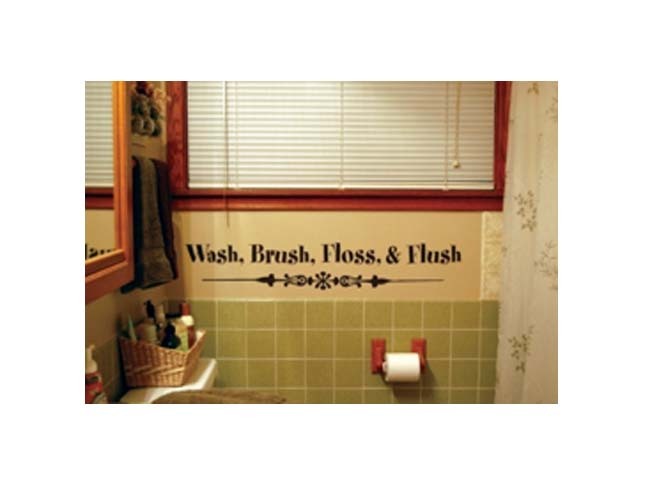 Check here to see how to create your own phrase, with the many styles and sizes of fonts available, that are easily applied to almost any wall. And here is yet another example of how dramatic it looks when you reverse out a light colored font onto a dark colored wall to create your own DIY Interior Design accents. Or you can use them as a friendly reminder like this one, that will bring a smile to their faces as they happily floss away. 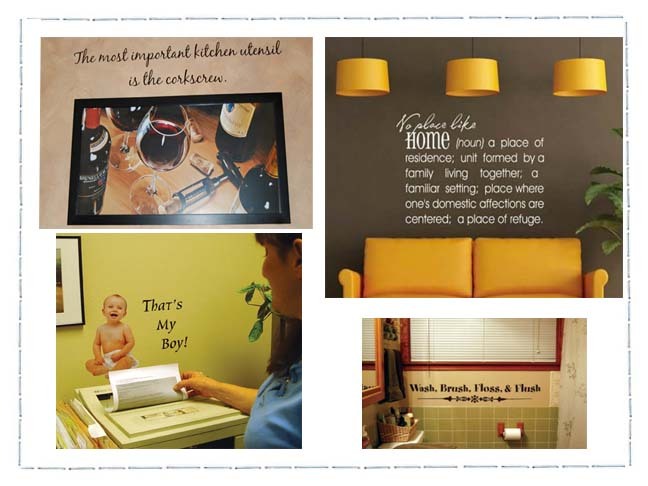 Or, you could get a little more personal with images of your family members that can keep you company while you are away at work or create your own wall collage of your entire family and display it somewhere in your home. 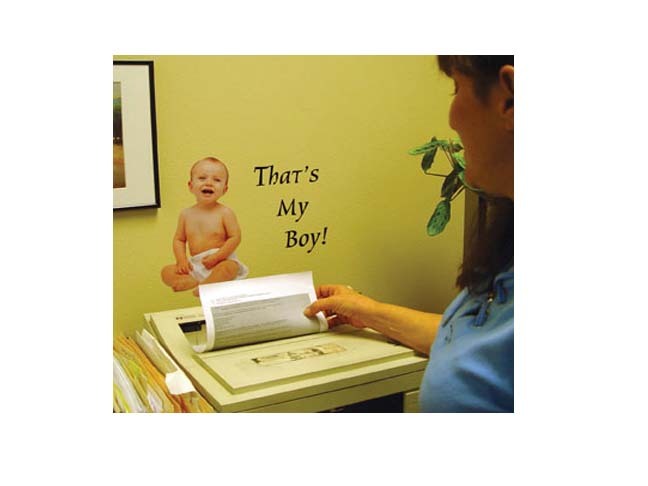 All you need is to supply your own high res photos that will then be reproduced as stencils that can be applied to the wall. How easy is that?